Hyundai at Piccadilly Advertising Screen for Next 5 Years! - Muscle Cars Zone! Hyundai at Piccadilly Advertising Screen for Next 5 Years! 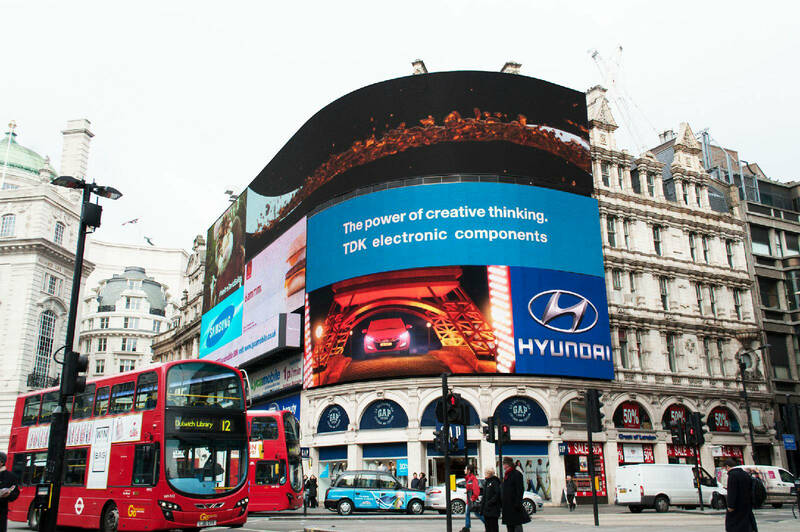 Hyundai Motor will be resident on the Piccadilly Lights in the center of London. The advertising landmark together with the tourist hot spot will display the Hyundai`s advertising until October 2018. Hyundai increased sales and market share in the UK during the previous 2-year agreement on the Piccadilly Lights signed in 2011. Now, with the new agreement it is expected to raise the brand awareness of its brand. This world famous Lights can be used for innovative brand and product films, UEFA Football Games Celebrations, giant Smartphone QR codes and other Hyundai imagery and information. According to the recent study, 2 milion people per week are passing by the London`s iconic screens; of these 1.38 milion were passengers with increased chances of viewing the Hyundai`s advertising. Half of the people were visitors from overseas and ¾ were under 45 years of age. 2012 Hyundai sales in UK were best ever, with more than 74,000 new cars and market share of 3.6%. The biggest Korean automotive brand reserved the place among the top 10 carmakers by sales and climbed from 21st position in 2008.